Welcome to Day 3 of our Sneak Peek Week! I hope you’re enjoying our new release so far 🙂 We have nine sets in total to show you this week with a giveaway at the end! 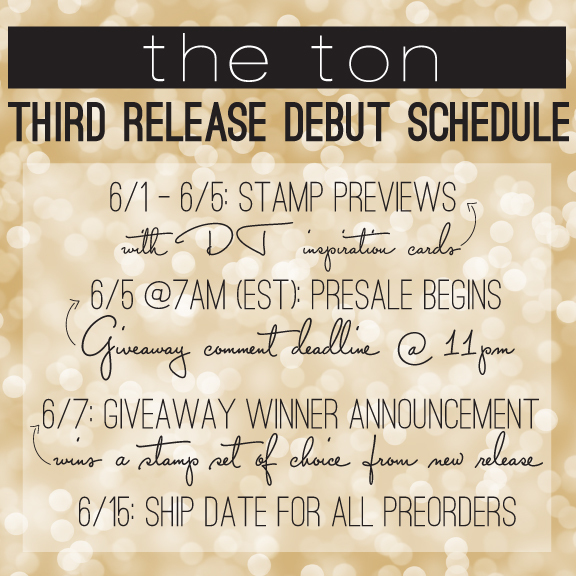 If you’re joining us for the first time, you can check out our debut post here which has all the details on our giveaway and our Sneak Week, Preorder and Ship Date schedule. Let’s get on with our new products for today! Our featured Couture Sequin Mix for today is: Curtain Call! These colors reminded me of beautiful, vintage brocade curtains. 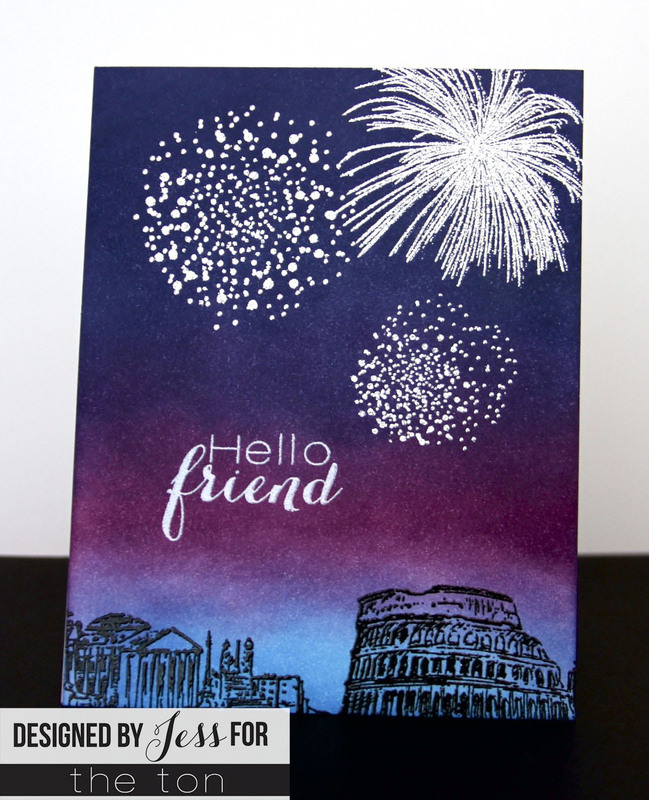 I also chose to release this mix today because they pair very nicely with the stamp set which we’re showcasing today – PYROTECHNICS! This is the first 6×8 set that we’re introducing into our third release so far (we have a couple more at the end of the week so make sure you check back each day). 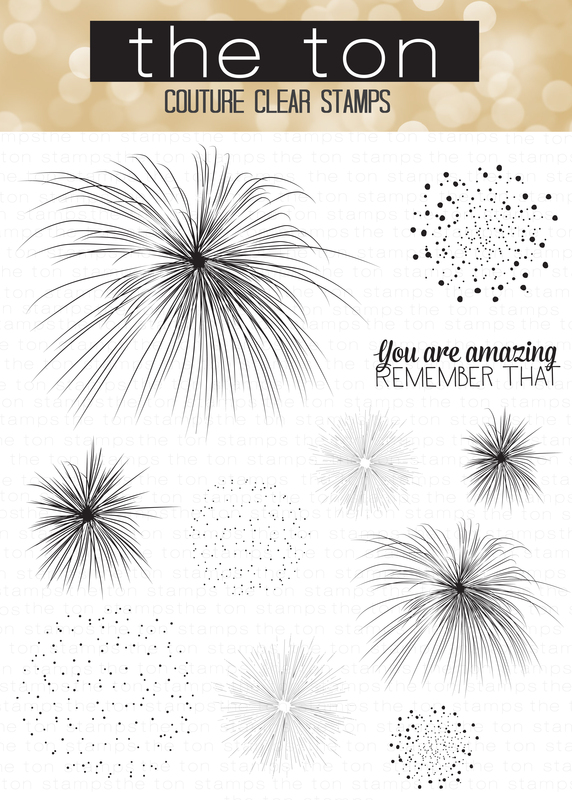 Create some awesome layered fireworks on your next card with our new Pyrotechnics stamps set! 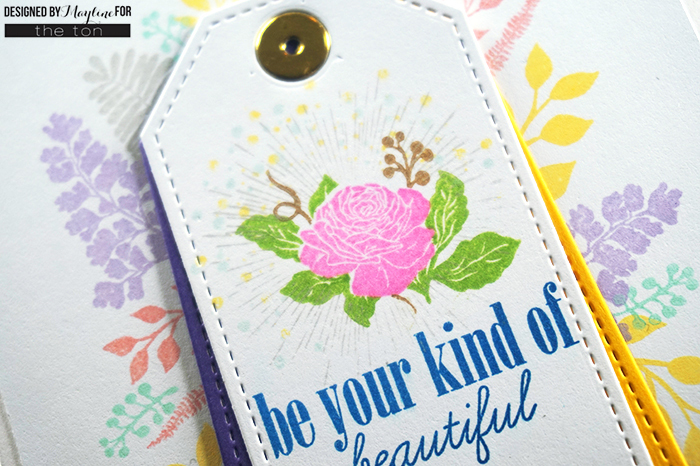 We hope you love our DT inspiration cards! Jess created some really eye popping cards with this new set. 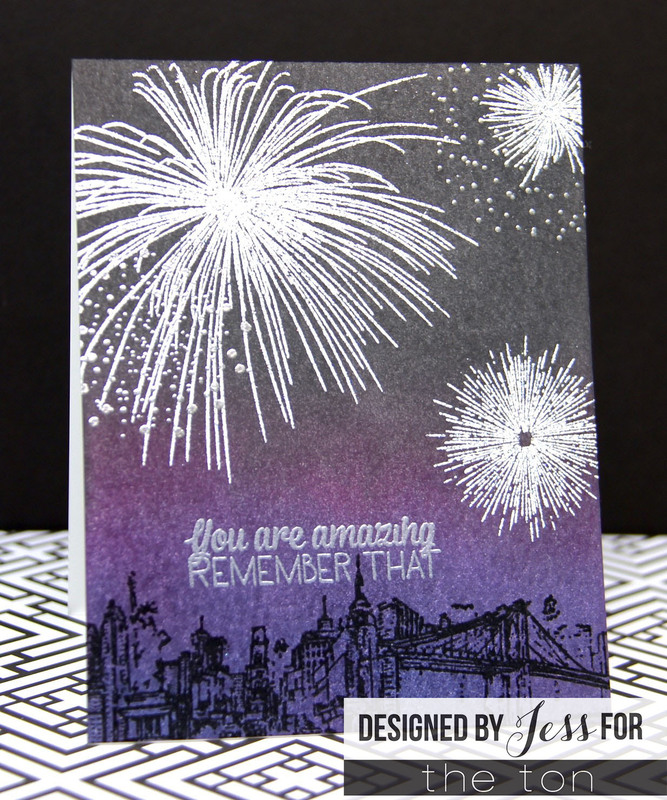 She layered a few of the stamps from Pyrotechnics to create a realistic fireworks display. She’s become quite the master at distress ink blending 😉 Isn’t that silver embossing against the dark night sky just stunning? Here are some variations from Jess. Jess last card using Pyrotechnics has a more abstract floral feel with the colors she chose. 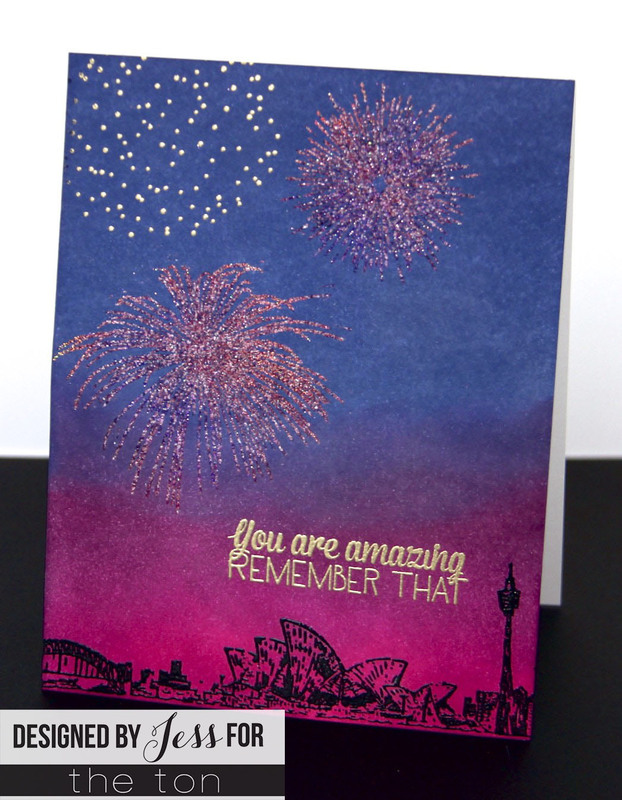 Ruby’s card is super colorful and she played around with the stamps to create reflections of the fireworks! How cool is this? 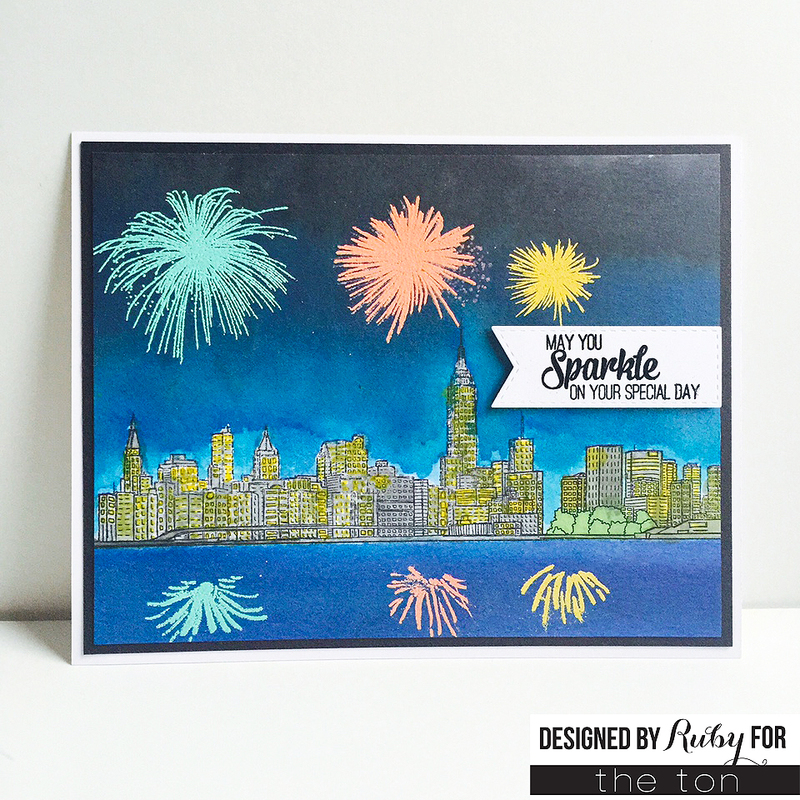 Mayline created this gorgeous card for yesterday’s reveal and we just had to repost it today because she used the Pyrotechnics set to create a unique background! What do you think of our new fireworks set? Leave us a comment and tell us what you think! Don’t forget, we have a giveaway at the end of our Sneak Week on Friday, June 5. Leave one comment on each of our Sneak Week posts to increase your chance of winning a stamp set of your choice from our third release. You can find our third release debut post here, and our Day 2 post here. If you want to increase your chances in winning more stamps from our new release, Jess is hosting her own giveaway. Head on over to her Instagram to this post of hers which has all the details on how to enter her giveaway. All of our new release stamp sets will be available for preorder on Friday, June 5 at 7am (EST) and all preorders will ship on June 15. Thanks for stopping by everyone! I hope you enjoyed today’s sneak post. We have three more stamp sets left to showcase this week. We hope to see you tomorrow! oooh,aaah who doesn’t love fireworks! Love the fireworks set. This is so great for celebration cards. However I also love that it can be used to create an abstract floral feel too. So beautiful and gorgeous cards too! 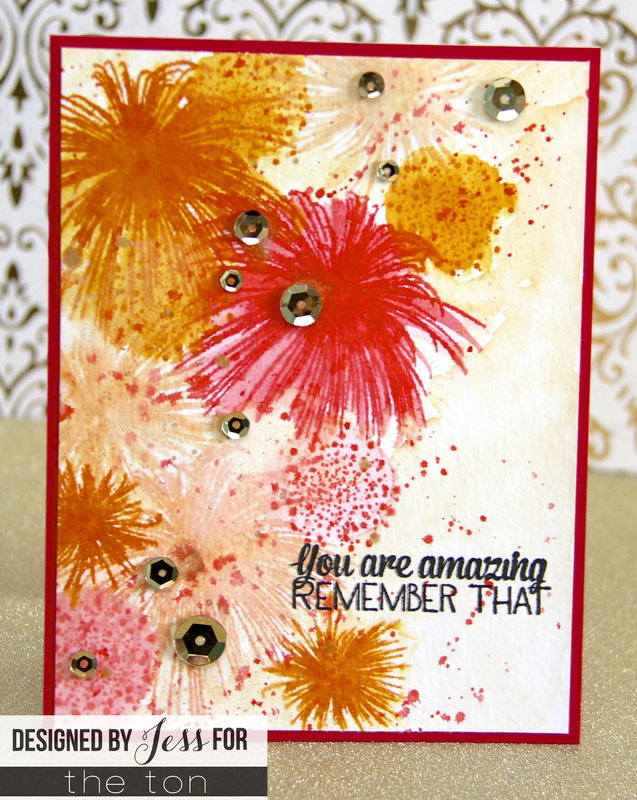 Love the fireworks stamps but really love how they were used with the flower stamp. So clever, brilliant release. What a fabulous stamp set – great for all kinds of celebrations. I love Jess’s, Ruby’s and Maylines creations. Wow…. I love this set!! Love the fireworks set! My anniversary is on the 4th of July, so this would be a really special set to create with! Gorgeous cards! Love the pretty sequin mix too! LOVE those fireworks! Fantastic set, the samples are just amazing! Ooo . . . ahhh . . . this set is awesome! And I really do love all those cards by Jess; gorgeous! Oh WOW, love the fireworks!!! All of your cards are GREAT, I really love the reflection in the water on the last card!! 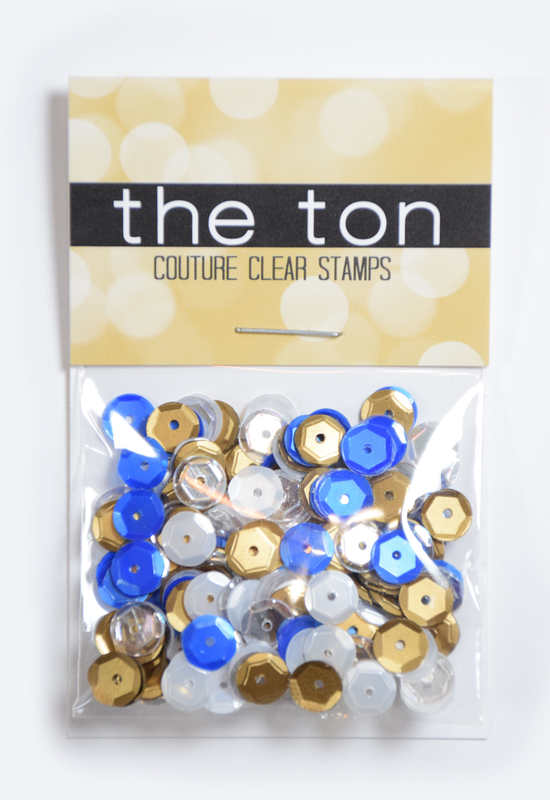 Perfect sequins for your Pyrotechnics set! LOVE the fireworks! Okay now, this set has so many possibilities rattling around in my pea brain…a definite must have. What awesome fireworks–my son was born on the 4th of July. What a fabulous set! You really have some amazing new sets! I nominate that tomorrow, June 4th, 2015 be renamed “Be Jess for a day” day. I just absolutely love her cards. What she did with that set is just beautiful! Not to mention that reposted card from Mayline! I didn’t notice that firework behind her florals. How ingenius! I love these sets a TON. Oh, and the sequins! Its just amazing.. and so beautiful. 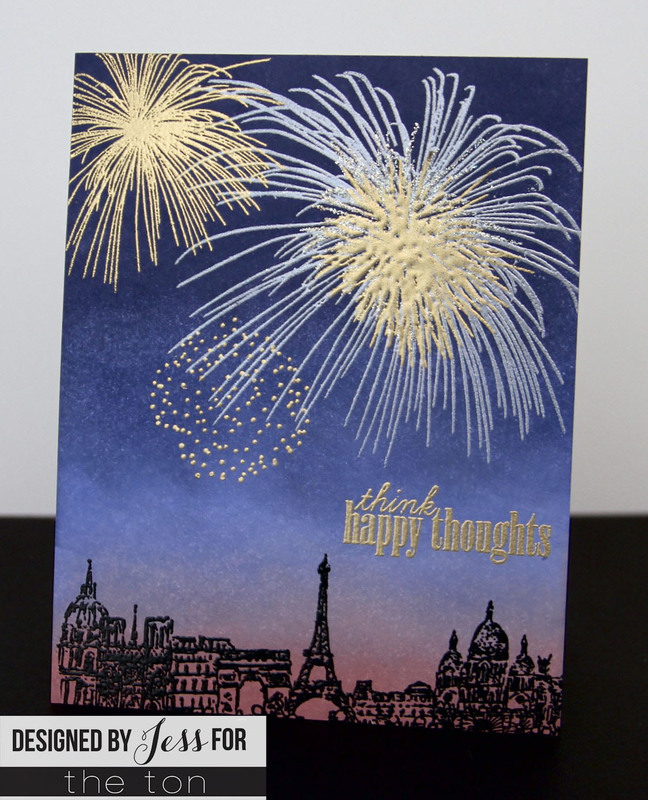 all the color combos.. and all the sparkle… I love fireworks.. and the cards look like art peices..
Ohhh! Ahhhh!! Wow!!! Pyrotechnics going straight to the top of my wishlist!! Oh my goodness… this release is crazy! Love Love Love everything you’d done here. This sequin mix is so elegant and those pyrotechnics are blowing my mind! Thanks for sharing! Wow! I LOVE the pyrotechnics set! The DT cards are absolutely stunning! I can picture these done in sparkle embossing powder on black. Would really look awesome! Wonderful showcasing for such a spectacular set! I own a fireworks set, but Nothing as SPECTACULAR as this one!! Ooh!! What a fun stamp set!! LOVE the card with the reflections and the glitter embossing!! So pretty!! Fireworks!!! Perfect for the 4th of July! ahhhh! These fireworks are just too cool!!!! Just stunning! Such gorgeous colors! Gorgeous fireworks! They will be so fun to use. Wow! I love these cards! Such fabulous sets in this release! I just received my first order a couple of days ago, and can’t wait to order more! I just ordered a TON of embossing powders. I’m ready. COOL stamp set! Must have! Amazing effects that the DT has gotten with these stamps. You can feel the 4th already. thanks for sharing so many different ways to have “pop” from the fireworks. I love the fireworks in this set I can see myself using this a lot! But I really LOVE the sentiment! I love the fireworks. Thanks everyone for sharing your wonderful cards.